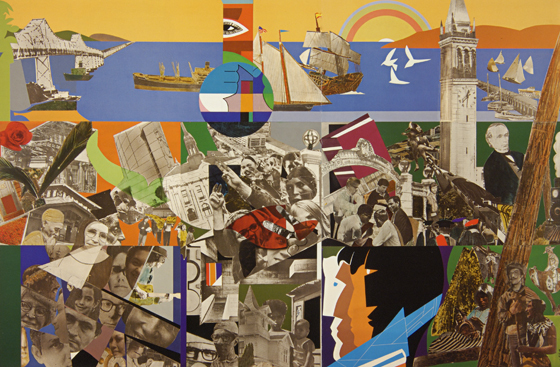 How was a symbol of the new Berkeley curated, from artist selection to content? 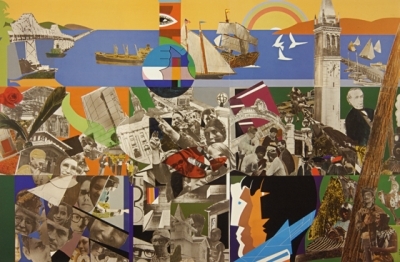 Collage and photomontage create a narrative that is deeply personal but also reflects the diverse realities of the community. 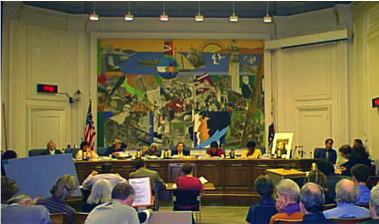 Bearden's Berkeley mural reflects the city's diversity using a variety of images, shapes and motifs.